Do join us for a relaxed and enjoyable event with lots of opportunities for conversation in the Art Gallery at Art Space Portsmouth. You are very welcome to join us from after 6.30pm to socialise and have a drink for a 7.00pm start. It will finish around 9.00pm. There will be two speakers each showing 20 images and talking for 20 seconds each about each image. 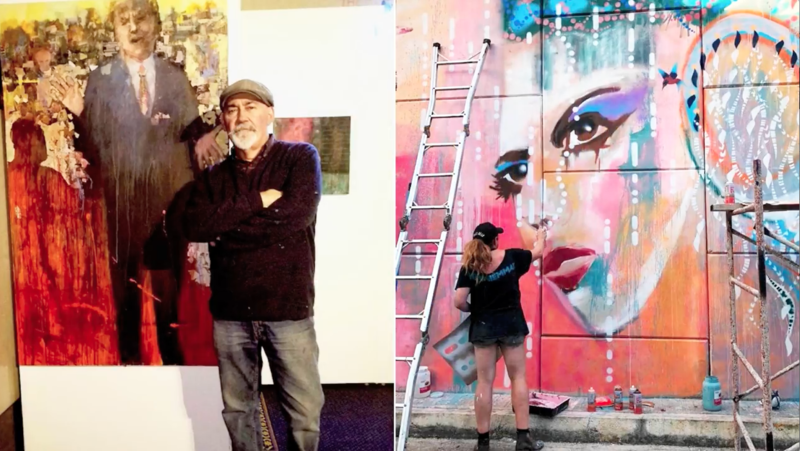 The speakers are Artist and ASP member Colin Merrin, and Artist Donna Poingdestre who is a member of the collective at Hotwalls 1, and who will talk about her recent street art residency in Mexico. There are then opportunities to ask questions of each speaker after their talk, but it’s a good chance to socialise and enjoy the evening. As one visitor said of a past ’20 x 20’ event “I found the evening really enjoyable, relaxed, informative and unpretentious.” Admission is free.